Islamabad: The USD 300 million that the Pentagon has decided to scrap is not a military aid to Pakistan, but what it owns to Islamabad for its support in the war against terrorism and should reimburse it, Foreign Minister Shah Mehmood Qureshi has asserted, sparking fresh bilateral tensions ahead of a key visit. The Pentagon on Saturday announced that it will cancel USD 300 million aid to Pakistan over its failure to take actions against terror groups. Qureshi said the matter will be taken up during Secretary of State Mike Pompeo's visit to the country on September 5. "The USD 300 million is neither aid nor assistance - it is the money Pakistan spent from its resources against militants and in the war against terrorism. This is the money they (US) are supposed to reimburse, but now either they are not willing or unable to pay back," Qureshi said during a hurriedly called press conference on Sunday after the US announced the decision. "It was all our money that we spent and they (US) were merely reimbursing it," he said. Earlier he told the BBC Urdu that the US in principle should pay back the money to Pakistan because it was spent for a common objective to defeat terrorism and create peace and stability. "We will sit and discuss this with him (Pompeo). We will try to improve bilateral ties between the two countries. We will listen to him and present our point of view to him as well," he said. The US comes just days before Pompeo is due to visit Pakistan to meet the country's new Prime Minister Imran Khan. The US and others have long complained that Pakistan provides safe haven to terrorists' networks, allowing them to carry out cross-border attacks in Afghanistan. To a question about options for Pakistan to get the stopped funds, Qureshi said Pakistan will talk to the US because the money was already spent by Pakistan. "If they don't want to reimburse for future spending, it may be different thing. But morally and in principle, they should reimburse what we spent in the past," he said. He said Pakistan welcomes the forthcoming visit of Pompeo as it will help to understand each other's point of view. "There are two sides of a picture. They (US) are showing only one side of it; we will show the other side," he said. He added that there is a trust deficit between Pakistan and the US but the government wants to improve the ties and build trust between the two countries. Qureshi said that Pakistan Tehreek-e-Insaf government was not responsible for the latest tension or suspension of funds by the US as the deal to reimburse Pakistan the cost of war on terror was agreed in past. 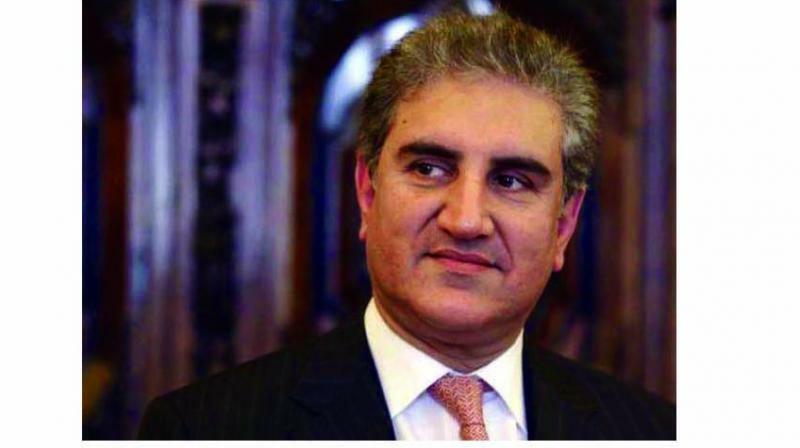 He also blamed the government of former premier Nawaz Sharif for current tension with the US, Qureshi said the new government of Imran Khan will take all decision keeping in mind the interests of Pakistan. US President Donald Trump since assuming office has been tough on Pakistan over its inaction against terror groups, saying Washington has got "nothing but lies & deceit" in return for millions of dollars in aid over the years. In August, a row erupted between the two nations following a telephone call by Pompeo to Pakistan Prime Minister Imran Khan, as Islamabad took exception to the American version of the conversation that the issue of terrorism was discussed during the call. While Washington insists that Pompeo raised the issue of terrorism Islamabad says the issue did not figure in the telephonic talk.